Free BIK Video Converter, Convert BIK to AVI, Convert BIK to MP4, Burn BIK to DVD. BIK is the filename extension of the video format Bink which primarily used for full-motion video sequences in video games for Windows, Mac OS, Xbox 360, Xbox, GameCube, Wii, PlayStation 3, PlayStation 2, Nintendo DS, and Sony PSP. The format includes its own video and audio codecs, supporting resolutions from 320×240 all the way up to high definition video. This video format of games can only be played in several players or devices rather than common video players. What if you do not have the player for game videos, like videos of bink format? Do not worry about it. BIK Video Converter Can help you convert bik to other common video formats and then play the converted videos on common video players. BIK Converter can support many output video and audio formats, you can take the below list as a reference. If you want to learn more about the formats that BIK Video Converter can support, you can CLICK Free BIK Video Converter. 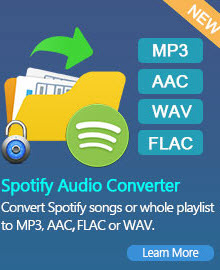 Audio formats: MP3, MP2, OGG, AAC, AC3, AIFF, M4A, DTS, FLAC, M4A, WAV, WMA and other audio formats. Since Sony PSP has been added to the output profile of BIK Video Converter, it is very convenient to convert videos of BIK format. You just need to add the BIK videos to the mian window of BIK Video Converter and choose Sony PSP MPEG-4 Movie as the output profile and then click Convert Now to start the converting process. After it is finished, load the converted video to your Sony PSP for enjoying. Other handheld game consoles can be chosen as output profile in Free BIK Video Converter: Sony PSVita, Sony PS3, Xbox, and so on. It is very simple to extract audios from BIK videos with BIK Video Converter. You drag or add the video files to the mian window of BIK Video Converter, choose the audio formats in the output profile and then click Convert Now. Then the converted files will be audio file of your video. BIK Video Converter is a very handy tool for extracting audio from BIK videos. MP4 is a very common video formats nowadays. Most of tablets can support mp4, such as iPad, iPod, iPhone, PSP/PS3, HTC One Series, Samsung S3, Nokia, BlackBerry and so on. It is a good choice to convert BIK to MP4. 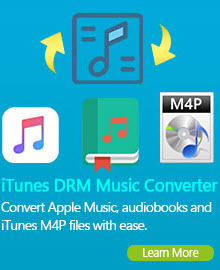 Bik Video Converte can help you convert to MP4 in a very simple way. AVI stands for Audio Video Interleaved. AVI files can contain both audio and video data in a file container that allows synchronous audio-with-video playback. AVI is also a very common format for video. Converting BIK to AVI can make the video played on many video players. Bik Video Converter will let the converted videos suffer less picture quality and other problems. Video Players that can play AVI videos: VLC, Realplayer, DivX Player, GOM Player, Windows Media Player. How to play BIK video files on their own? The Bik file extension is a video file format owned by RAD Game Tools in the creation of videos for video games. Formats for game videos as it is, these videos can also be viewed on their own like any regular video file. RAD Game Tools offers Bink Video or RAD Video Tools to view these videos. The viewing software is free. You can download the correct version of software according to your operating system from RAD Game Tools' official download site at http://radgametools.com/bnkdown.htm. There may be an occasion that you want to watch the game videos of BIK formats in a DVD player when you have one. Then what you must to do is to burn the BIK videos to DVD. The following instruction will lead you step by step on how to burn BIK videos to DVD with BIK Video Converter version 5.5.3. Step one: Please download and install Free BIK Video Converter and then launch it. Step two: Add the BIK videos to the main window of BIK Video Convert for converting. Step three: Choose DVD video NTSC/PAL Movie in the group of Burning to DVD as the output profile. Then click Convert Now to convert. Step four: Insert DVD, select recorder from the drop-down list, enter your desired Disc Label and click "Burn" button to start burning video to DVD. Step five: In the "DVD Burning Engine" window, click "OK" button, the drive automatically ejects the disc. What else Free BIK Video Converter can do for you? Free BIK Video Converter - a wonderful video converter for bik videos. You will not miss it.